Every year students at Southern Nazarene students are required to get 27 chapel credits per semester. According to the SNU webpage, as the only activity for which the total University community meets together regularly, “Chapel contributes significantly to seek to create and nurture a distinctive community based on Christian ideals.” It is because of this significance that SNU places such high value and importance on chapel attendance. However, what most students are not aware of are the multiple opportunities they have to acquire these credits throughout the year. While chapel on Tuesdays and Thursdays at 10:50 a.m. is clearly the easiest and most frequent chance to get chapel credit, there are chances throughout the year to get credit as well. This year, the first Thursday of every month is Kingdom Come, instead of every Thursday night like in years previously. Kingdom Come is held in Bud Robinson at 9 p.m. and is a student-led time of worship followed by a message. What several students coming together to meet every week once started, Kingdom Come is now an established time set aside for students to come, be recharged, worship the Lord together and receive a chapel credit. Another opportunity for students to receive chapel credit is Solace. Solace is held in the prayer chapel on specific Fridays listed on the chapel schedule. Each Solace is built around different spiritual practices within the Christian faith such as liturgical prayer, singing songs, spending time in silence and reflection, Lectio Divina, imaginative prayer and communion to name a few. Another less known opportunity to receive chapel credit is called Fields of Faith. Fields of Faith only occurs several times throughout the year and is an opportunity for student athletes to come together and worship. Led by fellow student athletes, the speakers that attend as well all have experience and background as a student athlete, or at least have been or still are heavily involved in sports. 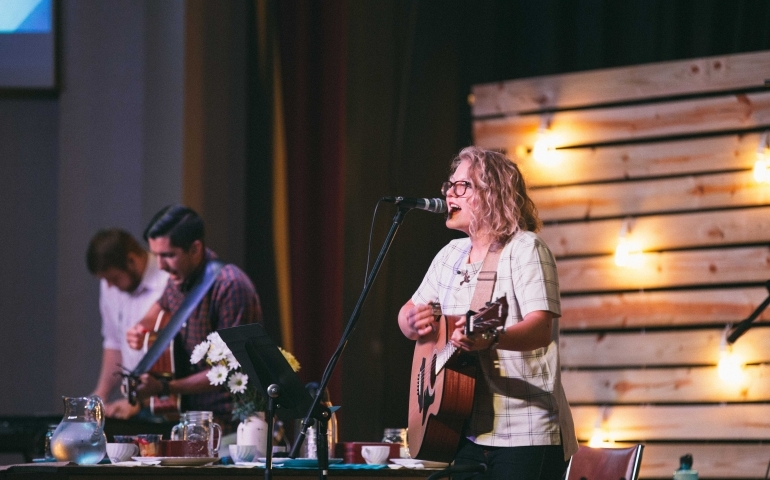 Simply put, students at Southern Nazarene University should be aware of all the other chapel options available to them on campus, not just to earn their necessary chapel credits, but also to challenge and deepen their faith.